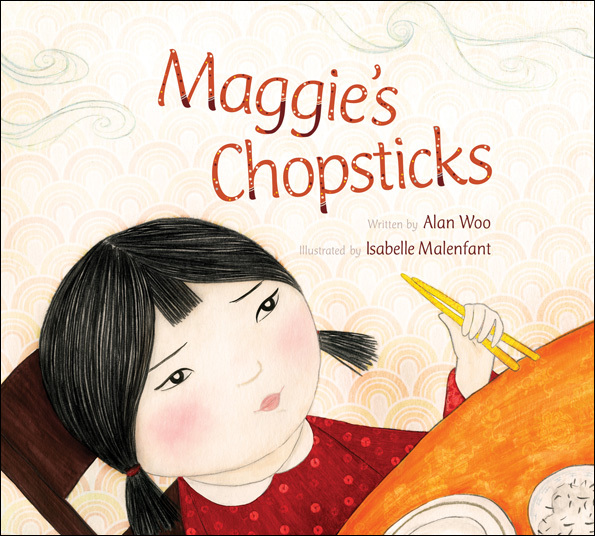 Maggie’s Chopsticks is about poor Maggie's struggles to master her chopsticks — it seems nearly everyone around the dinner table has something to say about the “right” way to hold them. But when Father reminds her not to worry about everyone else, Maggie finally gets a grip on an important lesson. Alan Woo was born in England and grew up in Vancouver. His work has been published in RicePaper magazine and Quills Canadian Poetry Magazine. Isabelle Malenfant lives and works in Montréal with her family. She loves the creation of characters and sensitive stories, which are sometimes funny, sometimes dark.